…you may have seen me in such films as, “Gladys The Groovy Mule“, and “Eenie Meeni Miney, Die“. I have a hard time thinking of any better character that served as a mockery to Hollywood and its wanna-be/has-been actors of our time, than this man. 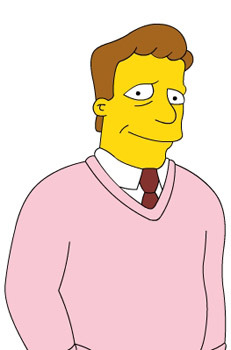 Troy McClure was simply a thing of genious. Unfortunately he was retired shortly after Phil Hartman’s death, but The Movie Mind wanted to serve a tribute to the guy who gave us all so many faux-gems that Hollywood couldn’t possibly stoop that low in real life…could they? Let’s find out how knowledgeable you are in the filmography of Troy McClure, and at the same time how truly sad the state of filmmaking really is. Below are a number of films, some of which are real, and others fictional titles from Troy McClure’s dubious acting career. See which ones you can match correctly, or if Hollywood got the best of you. If you didn’t fare so well try not to get discouraged, maybe Troy McClure’s self-help video, “Get Confident, Stupid!” can get you feeling good again! Such an awesome list … have you been cataloging it during your free time?